Standing in honest elegance in a distinctive landscape. 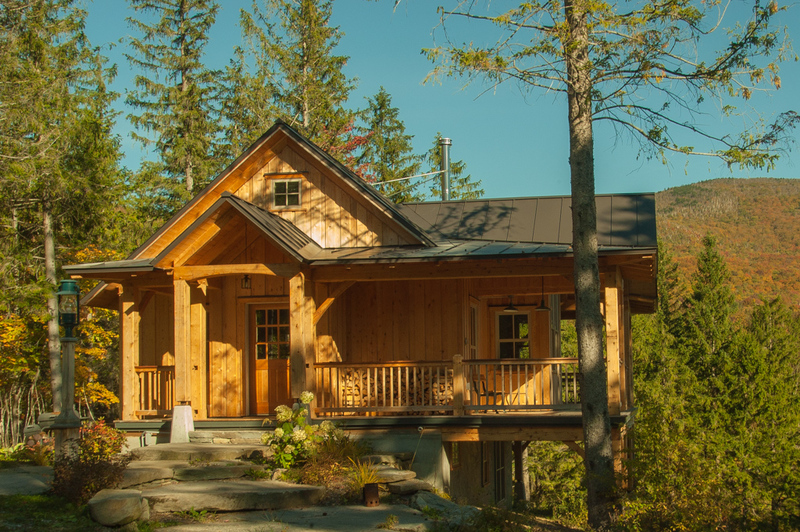 Breidablick and Campanula have in Common the fact that they were built for our lodging business as short term rentals, they both reflect Scandinavian and Adirondack influence with their rustic design and cozy cottage feel. Over the years they have been reliable workhorses and a universal delight of our Guests who enjoy their beauty, view and as place to gather and spend time together. Because of this, like a well-used and favored tool the building has developed a delightful patina that comes with age and history, while being light on maintenance requirements. These are authoritative and distinctive buildings that stand in an honest elegance on the landscape, their presence delights us and others every day. Both will be centerpieces of the Commons. They are in the connecting space and part of the gateways between the home farm and the three lots above and another three over in the Plantation. They help establish an architectural and landscaping standard for the Home Farm below and the other parcels above. They are attracting a cadre of potential and interesting buyers that would do the farm and the Commons a great justice. We are optimistic about their futures and their place in the Commons with new and caring owners.